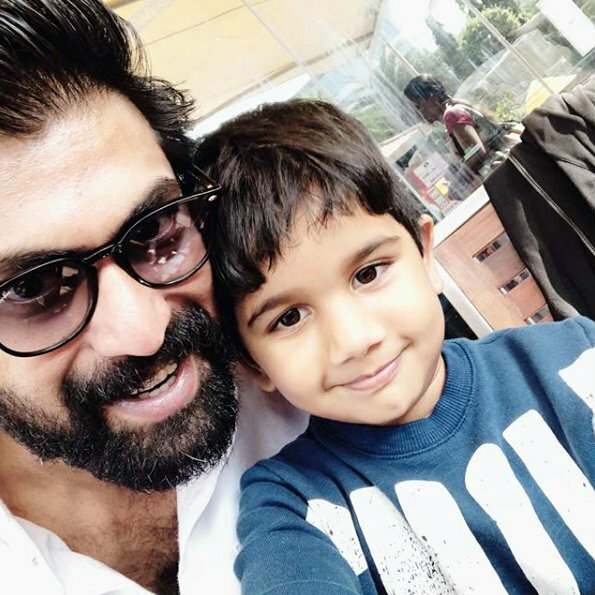 Rana seems to have found a new friend in Allu Arjun’s son. The dashing and uber-cool Rana Daggubati is arguably one of the most popular young stars in the Telugu film industry today. In just a few years, this handsome hunk has found firm footing in the industry courtesy his gripping performances, impressive personality and sincere performances. Moreover, he has won hearts thanks to his A-list style game and amicable nature. Now, Rana is in the limelight again and that too for an awesome reason. As it so happens, he just took to Instagram and shared an adorable photo with his well-wishers. In it, he can be seen alongside Allu Arjun‘s son Ayaan. And, as expected, he seems to be enjoying the little one’s company a lot. Interestingly, while sharing the pic, he used a quirky caption and made fans fall in love with him again. “The little Allu and me at Christmas lunch!! Clearly my friends are getting younger,” he wrote. On a related note, 2017 was a terrific year for Rana. He began the year with ‘The Ghazi Attack’ which opened to a decent response at the box office while receiving rave reviews along the way. In it, he was seen alongside Taapsee Pannu and delivered a commendable performance. Post that, he tasted success once again when ‘Baahubali 2’ opened to a thunderous response at the box office and ended up redefining the tenets of Indian cinema. In the epic-drama, he played the role of the heartless Bhallaldeva and shared screen space with Prabhas. Talking about working with him, he had said that T-town’s ‘Darling’ dedicated nearly five years of his life to ‘Baahubali’ and proved his mettle as a performer. A few months after the release of ‘Baahubali 2’, he was seen in ‘Nene Raju Nene Mantri’ and delivered an intense performance. Also featuring Catherine Tresa and Kajal Aggarwal in the lead, it did well at the box office and helped Rana end the year on a high. At present, he has ‘1945’ and ‘Haathi Mere Saathi’ in his kitty. ‘1945’ is a war-drama and is being made as a Tamil-Telugu bilingual. Sometime ago, he had said that he will be playing the role of a soldier in this one. “Right now, I’m shooting for a film set in 1945. It’s a story about a soldier who fought in the INA regiment of Subhas Chandra Bose. It’s set in a turmoil kind of situation after the Tamil moves to South East Asia and Telugu moved to Burma. It’s being shot in Telugu and Tamil, a bilingual. It is being directed by Sathya Sivan,” he had told PV south. 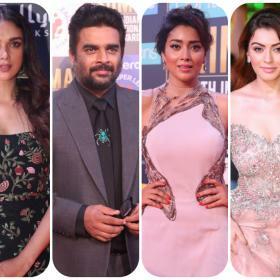 As far as ‘Haathi Mere Saathi’ is concerned, it is being directed by Prabhu Solomon and is touted to be a tribute to the yesteryear classic of the same name. Sometime ago, Rana had said that it will revolve around the relationship between man and the environment. There’s a very exciting physical language to the character I’m playing in Haathi Mere Saathi and is completely different from what I’ve done in the past. I’ve always wanted to be a part of content that can travel across the country. It’s a rare story about the relevance of nature in our lives, narrated through a wonderful relationship between man and elephant. Prabhu Solomon’s passion for nature and elephants makes him the finest craftsman in the country who can handle a story like this,” he had told a leading daily. So, did you like this photo of Rana and ‘Little Allu’? Comments, please!